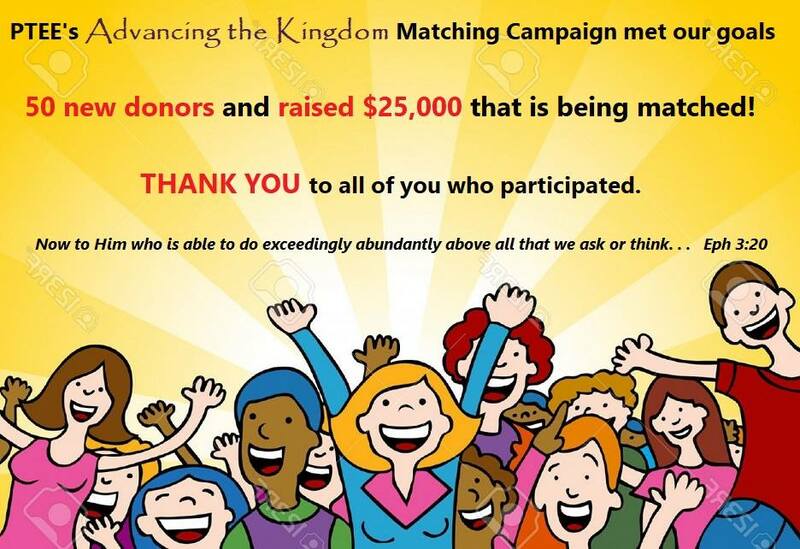 Jordan (MNN) – Program for Theological Education by Extension recently had a matching gift fundraiser called “Advancing the Kingdom”. Through the fundraiser, PTEE raised $ 25,800 combined with a matched $ 25,000 for a grand total of $ 50,800 raised. Ever wonder how your donations are used? PTEE is spilling the details. “Those funds mostly will be used to support the students. PTEE, one of our commitments is to make theological education accessible and affordable. So, the average student pays maybe $ 10 to take a three-credit, twelve-week PTEE course. But obviously, PTEE has greater expenses; administration expenses and overhead. So, those funds really are used to make the classes affordable by covering the costs of registration, administration, all the bookkeeping, things that students don’t have to pay for,” PTEE’s Kris Kuhlman says. As part of the conditions for the matching gift, PTEE needed to reach 50 new donors during the fundraiser. They reached 51. But, prior to the fundraiser, PTEE spent 50 days in prayer. Each day, they prayed the Lord’s work in their a new donor’s life. “The giving base for PTEE is very small. We have maybe 20 individual donors that give throughout the year. So, to get fifty new donors was really a challenge, but we committed it to prayer, committed it to the Lord,” Kuhlman says. Another exciting fact about the donations is not the amount raised, but that 33 percent of the donations came from the Arab community. “For the first time the Arab church was investing in a program [where] our vision is to strengthen and grow the Arab church. So, for us, that is exciting…that the Arabs now are seeing the value of this and willing to be partners in this work,” Kuhlman explains. PTEE provides theological education by extension. This education model allows pastors and church leaders to gain a theological education without leaving their families, their communities, or their churches. “We hear from so many students; they’re taking a course, perhaps in Christian education or counseling or stewardship, and they are applying what they’re learning immediately to their ministry, to their Sunday school teaching, even giving in their own church. So, we are really committed to this idea of learning in context and immediate application of what students are learning,” Kuhlman says. On a different note, what PTEE learned through the fundraising process has been invaluable. Through the waiting, the organization trusted in God and to wait for His timing. Kuhlman originally thought PTEE had not met its financial goal. But, a pleasant surprise awaited the PTEE team when they returned from Christmas break to find a generous gift from a final donor. “I think He really wanted us to see that yes, we want to do our best effort and do things well, but that ultimately it needs to come back to trusting Him, having faith, and being willing to accept that if we don’t meet those goals, that is still His goodness and His love that He does not change,” Kuhlman shares. Kuhlman says they also experienced how the value of the donations did not come from only the dollar amount given, but the individual who chose to support PTEE’s work. With each new donor came a person who was now aware of PTEE’s Kingdom work and investing in supporting the Arab Church. As PTEE continues to serve God by serving the Church, pray for PTEE’s future projects. Pray for those who PTEE serves, their work, and for their safety. Pray PTEE would continue to be supported in a way that allows church leaders to gain an affordable theological education. 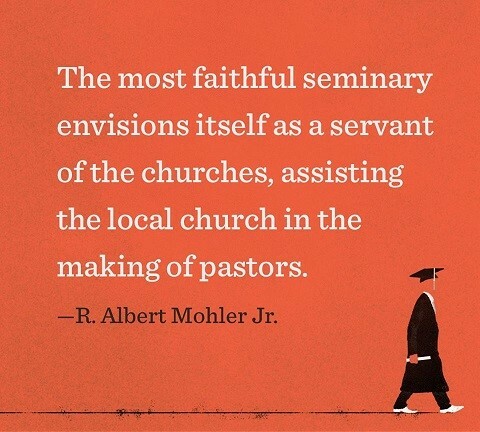 Header photo courtesy of Program for Theological Education by Extension. Previous Are You More Loving Than God? Next Is Plant Polyploidy a Viable Mechanism for Evolution?